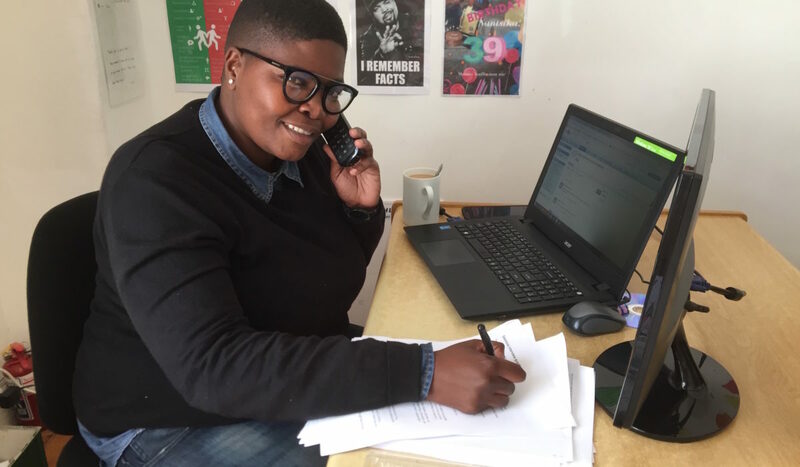 In the hectically busy month of September, Nandi devoted some time to catching up with a number of our Family beneficiary groups to get deeper insights into how they are using the FunDza books and what impact these are having on the teen and young adult readers. The process was hugely informative – we learned a great deal. We hope that these insights will help us to shape our services better for the future. We also plan to conduct more of these extensive interviews with our Family groups so that we can continue to listen and learn and grow. One of the most important insights for us was discovering how reliant the groups are on FunDza books. All groups interviewed used only FunDza books for their reading sessions. Without access to these, it would be hard for them to run reading groups or lending libraries at all. Thank you to the following Family groups for participating: Beautiful Gate, Best College, Bethelsdorp Comprehensive School, Christel House, Ikamva Youth Atlantis, Ikamva Youth Makhaza, Ikamva Youth Nyanga, Ikusasa Lelethu, Lebone Rivoningo Development, Nelson Mandela Institute and Orlando Pirates. How do the groups use the books, and with whom? The majority of the groups were running reading clubs or using the books as part of a classroom session. Almost all the groups also had a lending library component and two solely ran lending libraries. The reading groups tend to meet once a week with sessions lasting anything from 30 minutes to an hour and a half. Generally there are 15 to 30 learners attending each session and most of the groups cater for young people between the ages of 11 and 25 years, which falls within our target readership. Most of the groups only have access to FunDza’s books and these are a huge boon to encouraging reading for pleasure. Some of the groups also really appreciated receiving FunDza’s small A6 pocket booklets (the ‘It’s Your Right!’ series and the ‘Bridging Divides’ series). These were particularly useful to give learners as giveaways to take home to their families. Some of the school-based groups had passed these on to Life Orientation teachers who used them as part of this programme. How are the reading sessions generally run? We asked those running reading groups to describe a typical reading group session for us. One of the groups, which is based in a school, uses the book Broken Promises as their literature title for the year, and the rest of the books are lent out to learners. In another classroom environment, learners select a book or story to read for the session and this is followed by a discussion. Another group divides learners into smaller groups with different group members having a chance to read. Sometimes groups allow individuals to read on their own and then discuss, whilst in others the facilitator reads out loud. Generally giving different group members an opportunity to read out loud, with some reading done by the facilitator, seems to be the preferred method as this gives learners an opportunity to practice their reading skills but the facilitator can also keep the story moving along. Most frequently the group reading is followed by a discussion – either those outlined in the activity books or discussions that naturally result from the story. How are the activity books used, if at all? We were very keen to understand whether groups used the activity books and whether they found these helpful. Some groups didn’t use them much at all. But the majority did use them in some form or another. However, none of the groups reported following the activity books in a sequential manner (i.e. starting at the first session and working their way through the final one). One group did follow all the activities related to a particular session exactly as outlined in the book, but generally groups picked the activities that worked best for themselves and the group of learners they were reaching. Even though most groups did not follow the entire session plans, groups reported that the instructions did help them to shape their sessions. Some used the icebreakers from the activity books but for different sessions than those indicated in the activity guides. A number of groups noted that the length of time they had for the reading session was relatively short, which meant that they were unable to follow the activity book as planned. This was particularly prevalent for groups based within a school. One of these school-based groups also noted that they couldn’t run their session outside of school hours given the high incidence of crime and gang activity in their area. Some groups indicated that they would like additional training in running the sessions and using the activity books optimally. The one group that did use the activity books extensively had attended a training session with FunDza. The person who attended the session has since trained another facilitator too. This group plans their session a day prior to the reading group meeting up and have found that this forward-planning is helpful in the smooth running of their group. Those groups that had received training previously generally reported that this had been incredibly helpful in enabling them to plan their sessions well and ensure good learner engagement. What difference do the books make? We heard lots of different stories from the Family groups on the difference that access to FunDza books is making to the young people they reach. The most common impact is that learners who haven’t previously had access to books are now reading for pleasure. Very importantly, they aren’t just reading but they are able to relate to the books and the stories – enabling them to express their thoughts and ideas. Some facilitators said that learners who had never shown any interest in reading previously were now suddenly reading and enjoying books. Others said that they had noticed an increase in both the number of learners taking out books, and the frequency of them taking out books. Both are great indicators of increasing reading activity. It was heartwarming to hear from one facilitator that she had such keen readers in her group that when they weren’t able to run a reading session due to other commitments the learners had wanted to do the reading and run the session by themselves. Interestingly, many facilitators mentioned that they had noticed a shift in attitudes towards speaking in English. They attribute this to learners practising their reading out loud in the session, as well as the discussions. One facilitator said that learners were becoming more comfortable in speaking – and making mistakes too – which is such an important part of learning. And, it seems that the increased reading is inspiring writing too. One facilitator mentioned that learners have started writing their own stories and poetry, and that one girl had submitted a 72-page book. One of the facilitators noted that the second half of the year is – from a practical perspective – far shorter. So receiving more content at the beginning of the year, with a smaller top-up mid-year is a better fit for the academic year. This is a very helpful tip for us. 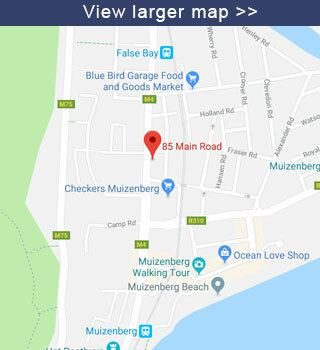 Despite our best efforts at marketing the rich source of content on our fundza.mobi site, the majority of facilitators did not visit the site and didn’t know how to get their learners to visit it either. We’re trying to figure out how we can make the link between access to print books and the vast resource that is our online library easier for groups to navigate. Most groups were highly appreciative of the support they were receiving… but they would love to have more visits from staff at FunDza and from authors too. They said that these visits are always inspiring for their learners. This is something we’re hoping we can accommodate through our expansion plan. We are so grateful to the facilitators who gave us their time to provide us with this rich feedback. The conversations were interesting, providing us with deep insight into how they operate, what their challenges are, and how we can shape our offering so that it is most helpful. It was certainly the perfect time to conduct the interviews given that we are planning our book deliveries for 2019. We’ll be taking note of the different points made and shifting our plans where we can.